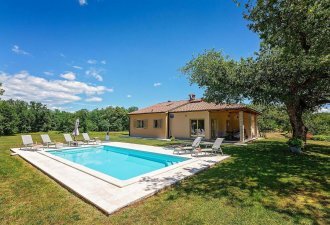 This 4 bedroom villa located in a very small an quiet hamlet can accomodate up to 10 people. 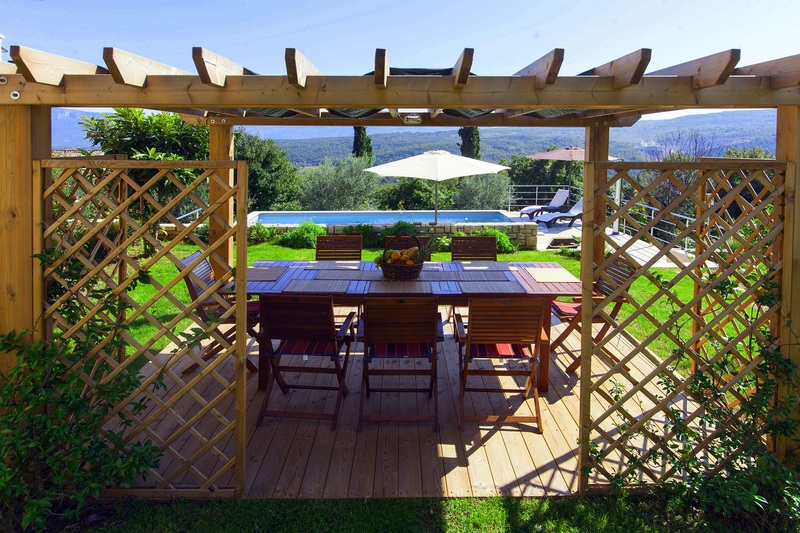 This villa with an amazing view on the surrounding hills, vineyards and olive trees is set in a large private garden, adorned by roses and herbs. The garden is equipped with table, chairs, barbecue, sun beds, sunumbrellas and swing for children. A large pergola allows you to enjoy your lunch in the garden. Big private swimming pool and the whole property is for your exclusive use while staying in this villa. The villa has 4 bedrooms and 4 bathrooms, spread over 3 levels. On the ground floor you can find spacious dining area with nice fireplace, one bedroom with double bed and bathroom. On the first floor is open plan well equiped kitchen, dining and living room with an access on the big covered terrace with an brethtaking wiev. There is also one bedroom with doble bed and bathroom. Comfortably furnished and sunkissed, this house is ideal for enjoying the wonderful views from anywhere in the house without losing its atmosphere.